EDIT: If you're taking part in the league, we're currently using http://quizoftheday.co.uk/ ... if you've missed a day, you can access it from the archive here: http://quizoftheday.co.uk/archive/ ... please say which day (or quiz) you're posting, just so we can avoid confusion. It's a simple enough premise. Every day, they publish 10 multiple-choice general knowledge questions. What isn't simple is the questions. I've had a 2 or 3 many times. I've achieved 8 out of 10 a few times, but never the Holy Grail: 10 out of 10. The day that happens, I'll probably end up adding it to my CV. Got 10 out of 10 on the Anchorman one the other day. I was about to say that that would be much easier than the daily quiz, but then I took it and got a pitiful 4 out of 10. Is there a link to the Anchorman quiz? I've got work to pretend to do here. 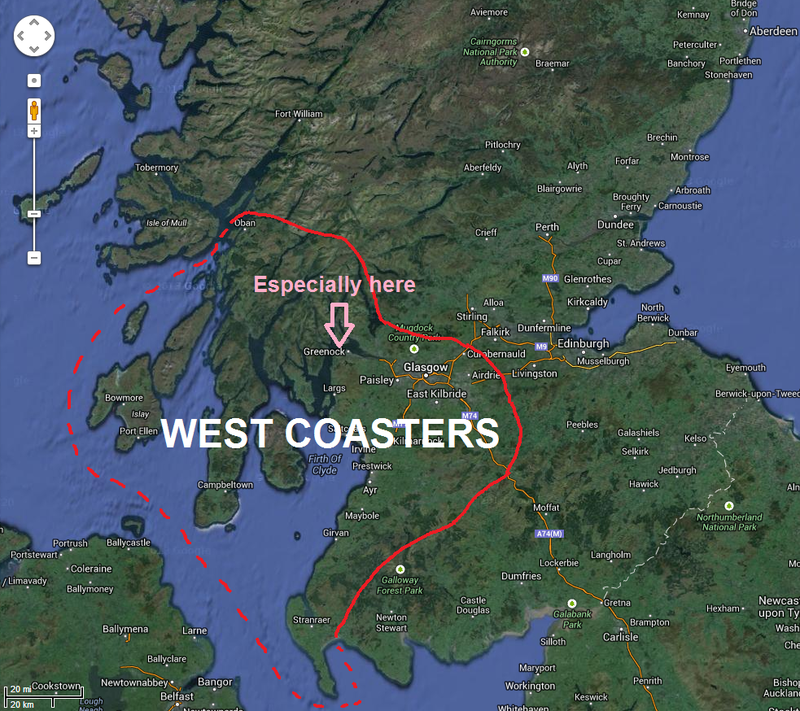 Ah, but where is your cut off for "West Coast". edit: 9/10 on the Anchorman one. Utterly disgusted with myself. Guessed them all and got 4/10. Don't have a clue about showjumping, Iceland or a big chunk of the USA. Defined by any Weegieness in the accent imo. 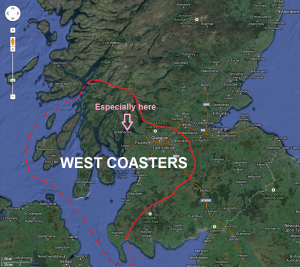 I am however undecided on Mull because it's one of those holiday destinations like Rothesay, Millport, Dunoon etc and West Coasters typically don't like venturing beyond their boundary to mix with the (sic) Savages. Even my mate, who's a certifiable idiot, got 5 out of 10. I guessed them all as well and also scored 4. There were words I didn't know existed in there. And not all Icelandic either! 5/10, not brilliant, but not bad for a few wild guesses. 10/10 on the Anchorman quiz though. WHAMMY! 5/10. I knew 3 and took educated guesses at the Kathryn Bigelow and Jeremy Bentham questions. Anchorman quiz was 8/10. Disgusted. 5 out of 10, and I was lucky to get that. Astronomers and followers of World Religions might fare better. 8/10- didn't know the one about the religion or the moons, guessed the one about the cards. Knew the other 7 though. 7/10. Not bad considering I got the first two wrong. Desert Island discs ain't my strong point either.